Coffee with a Cop brings police officers and the community members they serve together–over coffee–to discuss issues and learn more about each other. 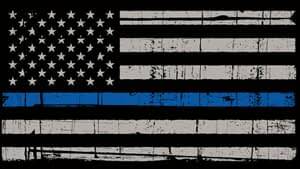 Due to the success of the first event the Township of Washington Community Policing Unit has decided that we will continue to host this event a few times a year. The next Coffee with a Cop event will be held in the Spring 2019. Please check back for the exact date! 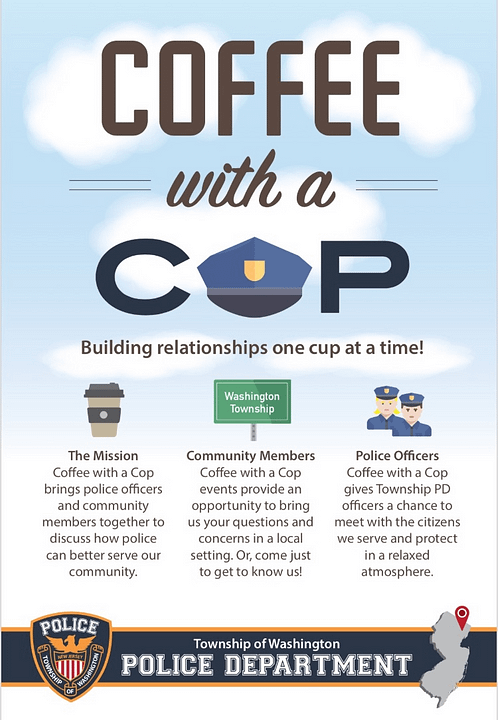 Please check back here and follow us on twitter at @WashTwpPolice for updates on future dates and locations for the next Coffee with a Cop event.